gas mileage by changing our driving habits. is coaching me on how to get the best gas mileage I can, as safely as possible. Speck is what they call a master eco-drive trainer at Pro-Formance Group of Phoenix. coach like Speck for just a few hours, drivers can improve their fuel economy by 24%. 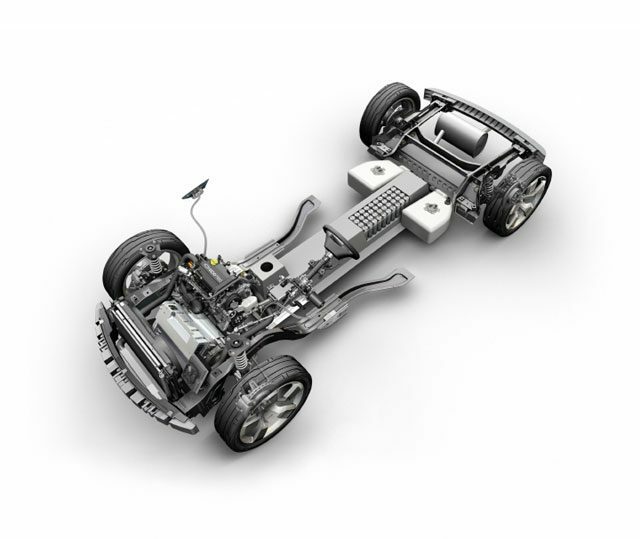 The nuts and bolts of eco-driving are simple enough: Accelerate and break smoothly. the road. But all this sounds way easier than it really is. Gutel: Okay, I feel like you’re teaching me to drive my car all over again. to do it right, you do need a coach. 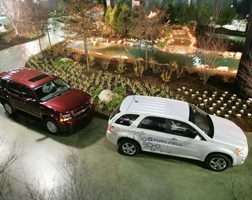 talk of putting trained coaches at Ford dealerships. become a part driver’s ed classes. Speck: “You are, and most people freak out about how much time they’re going to take. that well on my own. 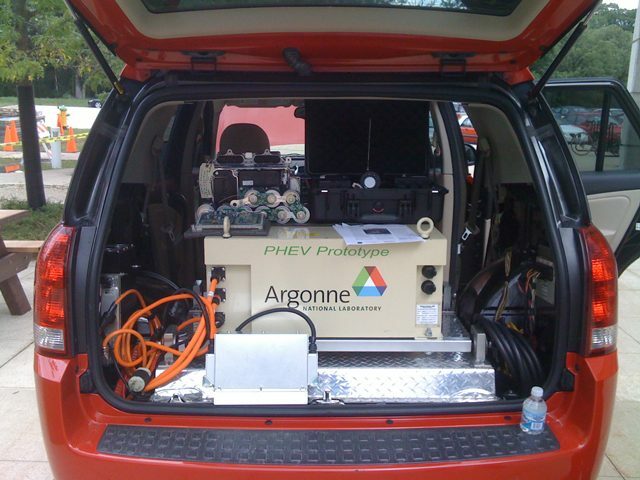 The US Advanced Battery Consortium is made up of General Motors, Chrysler and Ford. dollars to develop batteries for Hybrid vehicles. Johnson Controls and a partner will develop lithium-ion batteries for plug-in hybrids. 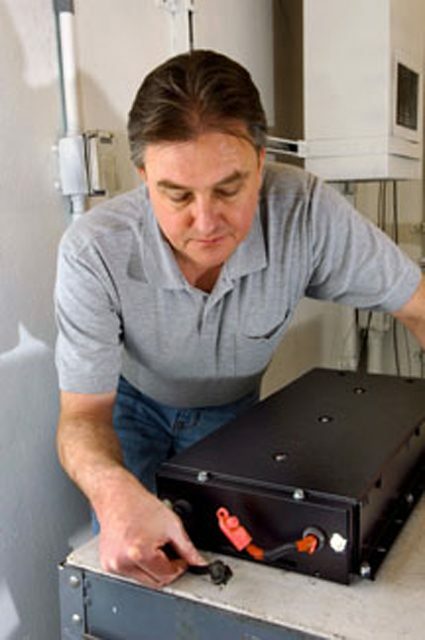 do to make a battery that will go forty miles between charges. industry shift away from gasoline-powered cars. Critics say the companies should have focused sooner on fuel efficiency. of hydrogen powered shuttle buses in the US and Canada. power a mostly conventional internal combustion engine. But Ford’s John Lapetz says the problem is still: where would you fill it up? Another problem is cost. Ford says each of its hydrogen buses now cost 250 thousand dollars. For the The Environment Report, I’m Dustin Dwyer. “70% of our customers want to talk about hybrids when they walk through the door. They’re aware of it. They think it’s a great idea. And they’re predisposed to buy hybrids. than gasoline. But it can create more smog-forming gases such as nitrous oxide. hope is cellulosic ethanol, which can be made from grasses, or even used tires. 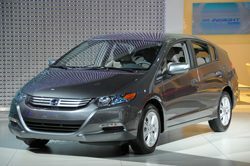 plug in hybrid by 2010.
used in your cell phone, but there are some challenges scaling that up for an automobile. more than 100 miles to the gallon or better. hydrogen in, and the only thing that comes out of the tail pipe is water vapor. Some in the industry say fuel cells could be ready for the mass market in the 2020s. A Fisker Karma could be yours for 80,000 dollars. Fisker plans to make 16,000 of the sports cars. That’s not a lot of volume. turbocharged engines that’ll be available in some cars as soon as this year. sacrificing performance. 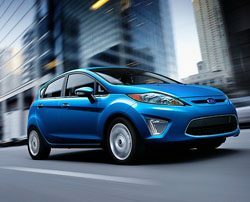 So Ford says its new cars will be fast, and efficient. batteries. These batteries could bring about a revolution in automobiles. there are two leading companies: General Motors and Toyota. make the batteries work for something big, like a car. already been a problem in some laptops. batteries are no doubt, the next big thing that will save you gas. 2010. Maybe a lot later. No one can really say for sure. How do lithium ion batteries work?